^ “Fox News host offers Secretary Rice All Star Game tickets”. The Raw Story, 2007. (2007年). 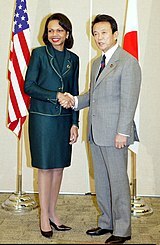 http://www.google.com/search?q=cache:G2ewqKE2FucJ:rawstory.com/news/2007/Fox_News_host_offers_Secretary_Rice_0402.html+Rice+Yankees&hl=en&ct=clnk&cd=7.